With today’s fast-paced world, technology travels with you. Teams are spreading out and employees expect their business tools to provide the highest quality, wherever they are located – at home, in the coffee shop, at the airport or in the office. Being mobile allows staff to be more productive and responsive – effectively using devices as an extension to your businesses IT network. 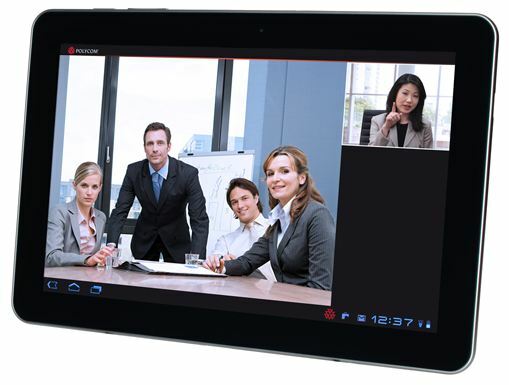 And with the rise of Smartphones, tablets and mobile devices comes the rise of BYOD (“Bring-your-own-device“). Rather than the IT department issuing standardized equipment – the same laptop and phone as all other employees – staff wish to access secure network resources, check corporate email and engage in enterprise communications on their own devices. A well run BYOD policy will make a company exponentially more efficient & better able to quickly respond to an ever changing workplace. 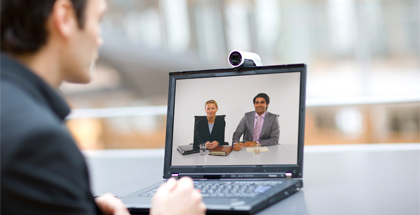 In 2011, VideoCentric launched their first-of-it’s-kind mobile video collaboration suite, to test and develop mobile video conferencing solutions from the likes of Cisco, LifeSize, Polycom, RADVISION and Vidyo, to ensure only the highest quality and interoperable solutions would be provided to customers. We invite you to come along to our HQ, see all the mobile solutions available in the market, side-by-side, and hear our unbiased views on each solution on offer. What gateways, security apps & bridging does my network need in place? What solution is scalable for an unknown number of devices, now & into the future? How can I keep my network secure? How can I manage my firewalls? What about 3G and 4G networks? Do I need a cloud VMR, an on-premise MCU or a hybrid solution? 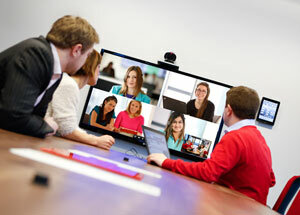 VideoCentric are the UK’s most experienced integrator for video centric solutions. Our award-winning team can help you design and implement a high quality and secure mobile video solution that enables users to bring their own device, into your network, easily and securely. Speak to us now to organise a demonstration or come along to our BYOD, cloud & mobile demonstration suite where we can show you all the solutions, in action, under one roof.